The Slim, contemporary styling of the ARTCOOL models will appeal to today's discerning customer. 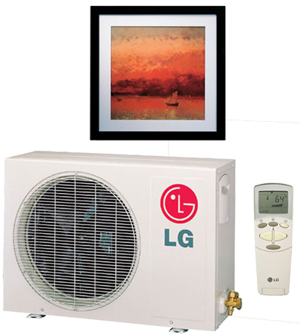 The 9,000 and 12,000 BTU picture models come with a frame that allows the customer to modify and personalize the unit with their own artwork or photography, the ultimate in custom design. 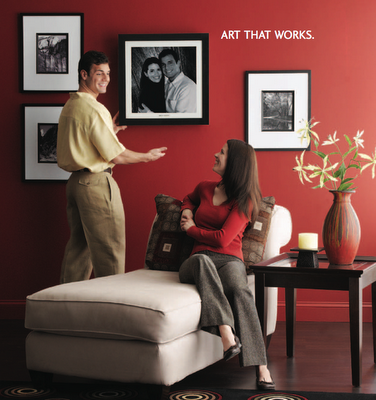 Other ARTCOOL indoor units are available in popular finishes and colors to compliment any decor. 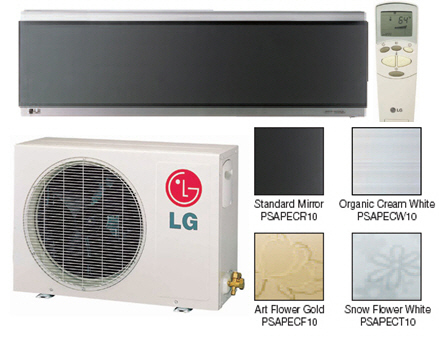 ARTCOOL Duct-Free Mini-Split AC Systems from LG maximize the efficiency and economics of duct-free technology. Now you can bring more attractive, cost-efficient solutions to your commercial and residential properties. 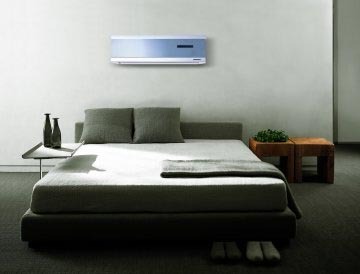 providing single zone systems in both air conditioning and heat pump models. For more information on these models such as product brochures or a detailed price list, please feel free to Contact us. 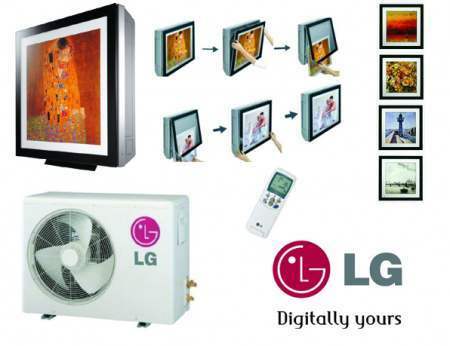 LG's new models provide it all. Designer style, quiet operation, health-enhancing filtration and energy efficiency. Split systems are just what the name implies. A system that’s splits into indoor and outdoor units. In addition, indoor units are available in several configurations to suit your tastes and budget. With LG, you can get it all. A little interior accent for the modern you. The romantic pastel colors, subdued luster, modern texture and the super slim design of LG ARTCOOL Mirror are the answers to your unique mood and personality.